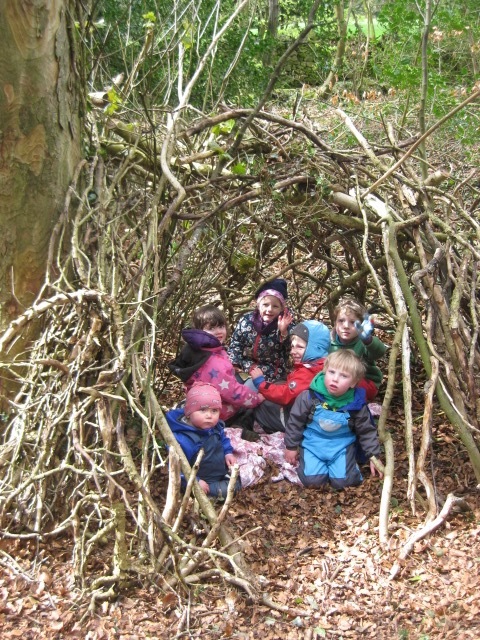 Mini Stompers is a monthly Monday gathering for 2 hours of fun in Serpentine Woods for 0-5year olds. Mini Stompers gives families and friends time to get down and dirty (as in the opposite of up and clean) with each other and PLAY. It's an opportunity to turn off the logistics machine in our brains and really spend some time trying to see that crazy monster in the mud pile which is so real for our wee ones. Play is the tool our children use to learn how to live life, and Mini Stompers is the perfect place for them use that tool uninterrupted and for you to spend time immersed in their world. We have a few spaces available for those who would like to come regularly but can not afford to pay - please get in touch for details. 2 experienced practitioners, use of their kit, 2 hours of woodland fun with like-minded folks and a cup of tea. There is information on where to meet and what to bring on your e-ticket. You do not need to print and bring your e-Ticket - just check the details are correct on it and come along! See you in the woods soon!